Facebook was pummelled by public criticism over privacy issues during the second quarter, spurring an unprecedented appearance in the US congress by CEO Mark Zuckerberg. Don’t expect to see much evidence of that turmoil in Facebook’s earnings report on Wednesday. The social media giant is expected to post record revenue and users in the quarter, thanks in part to the photo-sharing app Instagram, according to analysts. The business, acquired for US$715-million in 2012, now has more than a billion users and is a big reason Facebook’s advertising machine is still growing. Despite the drama ranging from a data privacy scandal to stumbles in fighting fake news, shares of the Menlo Park, California-based company have gained 22% this year. Indicators point to user growth remaining relatively immune to the controversies. Heather Bellini, an analyst at Goldman Sachs Group, said checks with Facebook’s advertising partners showed robust demand in the second quarter, especially for Instagram. “Multiple partners cited the strength in Instagram user growth as a key driver” for buying more ads, Bellini wrote in a research note. She rates the stock a buy and expects Facebook to beat second quarter revenue and earnings estimates. 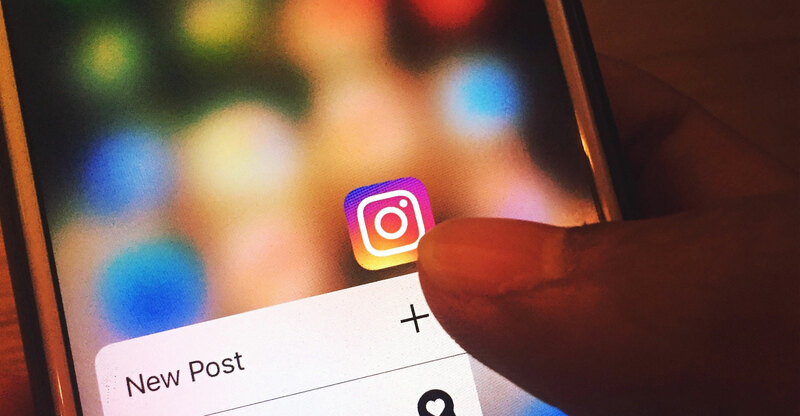 While Facebook doesn’t break out revenue from Instagram, the unit is expected to generate $8.1-billion in revenue in 2018, according to research firm EMarketer. Facebook recently re-organised the company to put the Instagram division under Chris Cox, the head of overall product. The head of News Feed joined Instagram, reporting to CEO Kevin Systrom, to manage Instagram’s product. So investors will be listening for more details on the symbiotic relationship among Facebook’s divisions. Facebook is expected to report more than 2.2 billion monthly active users in the second quarter, up 2.3% from the previous quarter, according to the average of seven analyst estimates compiled by Bloomberg News. Daily active users are expected to increase 2.1% to almost 1.5 billion. Analysts also estimate profit of $1.71/share and sales to jump 43% to $13.3-billion from the period a year earlier. In addition to engagement trends, investors will be looking for information on users’ reaction to privacy-setting changes after new European regulations, and progress in efforts to wring revenue from WhatsApp and Messenger, according to SunTrust analyst Youssef Squali. Facebook has endured several stinging public scandals in recent months. Beside the CEO testimony over data practices, the company has been broadly critiqued for its policies regarding content, which resulted last week in Zuckerberg’s defence of posts by those denying the Holocaust. Facebook has promised a cleaner site, with less spam, fake news and fake accounts, especially ahead of the US midterm elections. The company has been requiring advertisers that mention political topics to have their identities verified. None of that has affected the popularity of Instagram. During the quarter, the photo-sharing app announced a way for its users to post long-form videos in a TV section, which could be home to Facebook’s video ads in the future. It also reported that 400 million people now use its “Stories” function, which allows people to post video reports of their day that disappear after 24 hours, similar to the tool on Snap’s Snapchat. The app could contribute $20-billion to Facebook’s revenue by 2020, or roughly a quarter of Facebook’s revenue, Wells Fargo analyst Ken Sena said. And it’s unlikely to cannibalise the growth Facebook has already achieved.